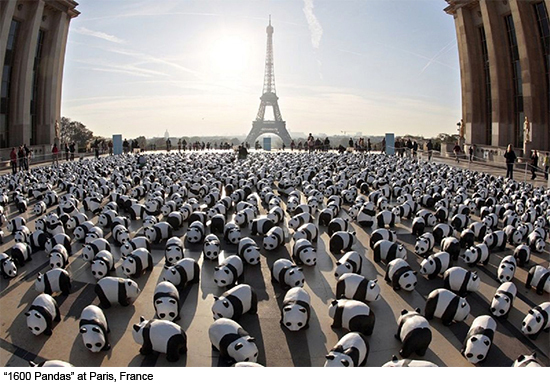 French artist Paulo Grangeon has worked for animal conservation since 2008, using his artwork to raise awareness on endangered species. 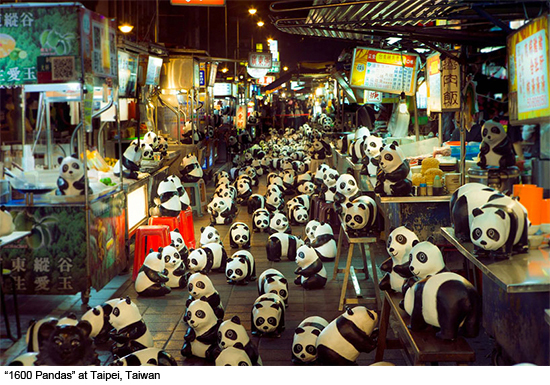 One of his most famous installations, “1600 Pandas”, has now been announced to stop by Hong Kong this June! 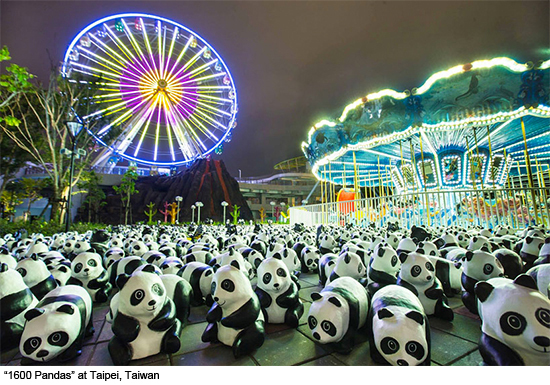 The installation is comprised of 1600 pandas crafted from papier mâché, a composite material made of paper and adhesive, and represents the dangers that mankind currently poses to the endangered species. 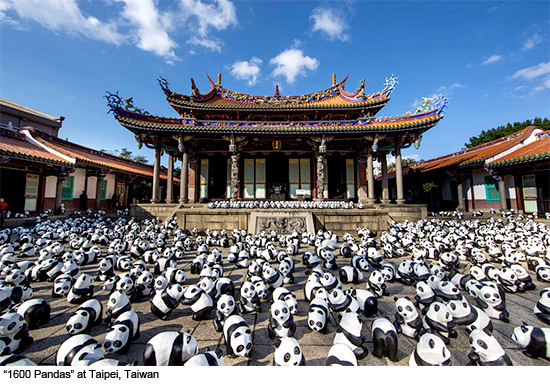 These pandas have visited a variety of locations over the past few years, including Paris, Rome, and most recently Taipei this past February. For the upcoming Hong Kong event, which is a joint venture between Grangeon, the World Wildlife Fund, PMQ Management Co, and creative studio AllRightsReserved, the pandas are slated to visit 10 famous landmarks around the city, and Grangeon will unveil four new special-edition pandas for the occasion, featuring unique designs. 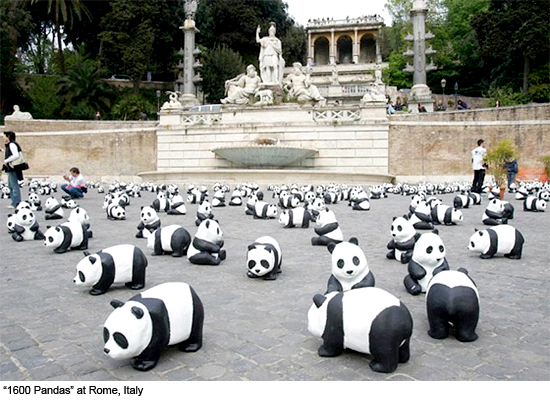 Keep your eyes open for more news on this adorable installation, and for more locations on its world tour!